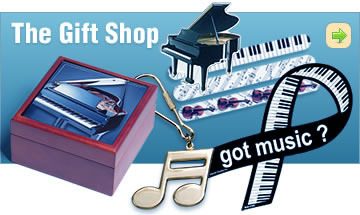 The Music Stand™ offers a fun and unique variety of music themed gifts, music decor, musician's accessories, music teacher gifts, and personalized gifts for music lovers and enthusiasts. 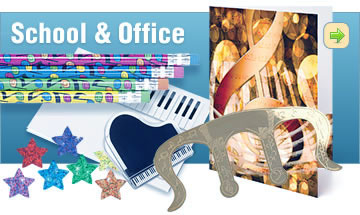 Whether you need a great music gift for a teacher or want to decorate a room with some amazing Music Decor, we've got it at The Music Stand™. 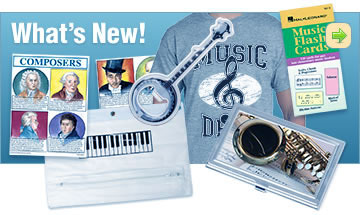 We also offer lots of Music Themed Clothing, Music Jewelry, Music Bags and Accessories, Music Themed Party Decor, along with many other intriguing music lover must haves. Top 10 Music Lover Gifts for Guys: It doesn’t matter if you are a Piano Player, Drummer, Guitarist, Violinist, or just love music - we're here to help celebrate your passion for music. Here are our top 10 gifts for guy music enthusiasts. 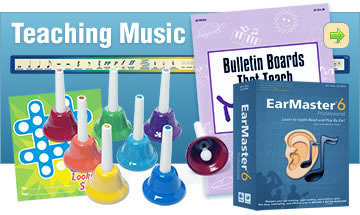 Top 10 Girl Music Lover Gifts: Whatever your musical style, you can find something here at The Music Stand™. Here are our top 10 gifts for girl music lovers.